Pot brownies, cookies and other potent treats have been around for years, but as more states pass legislation to legalize marijuana, a rock star would like to introduce you to a more sophisticated form of cannabis cuisine. 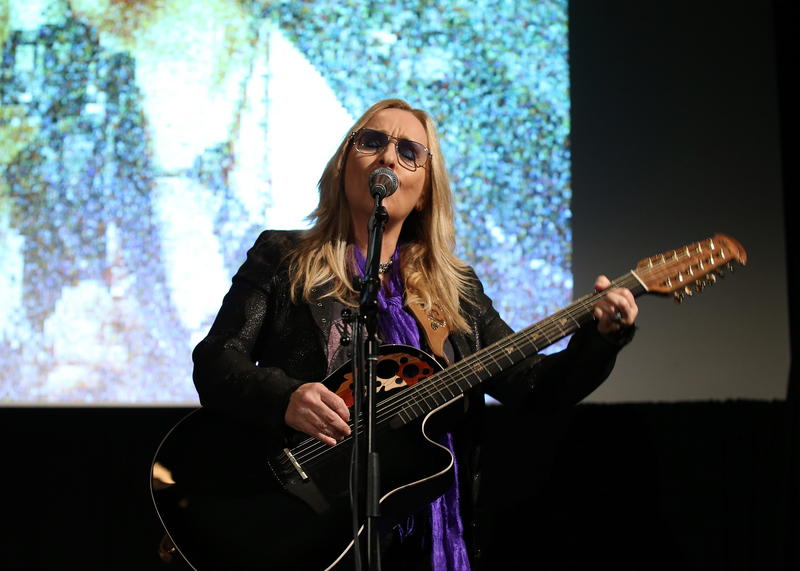 In partnership with the owners of Greenway Compassionate Relief, a medical marijuana dispensary in Santa Cruz, California, Grammy Award winning singer-songwriter Melissa Etheridge is cultivating a line of "cannabis-infused fine wines." Due to legal restrictions, however, she's only allowed to call her creation a "wine tincture." What kind of effect does it have on the body? "You feel a little buzzed from the alcohol and then get a delicious full body buzz," Etheridge told CBS News. Unlike most other edibles, Etheridge's wine tincture doesn't involve heating the cannabis. The "cold extraction" that takes place during fermentation creates a compound that she says is far less psychoactive than the compounds found in marijuana smoke or cooked edibles. In other words, the wine won't make you high or paranoid. Etheridge told CBS News that after being diagnosed with breast cancer in 2004 and going through chemotherapy she began using marijuana for medicinal reasons. "Once I considered it medicine, I became much more interested and have taken it into my lifestyle to keep stress down and keep my GI system level - it's been messed up since chemo," Etheridge says. Etheridge is clear about her mission to help reduce the social stigma associated with marijuana. She wants to galvanize social change and make people more comfortable consuming cannabis products. She believes the wine tincture could be used recreationally and even therapeutically. However, the director of NYU's Addiction Psychiatry Fellowship, Dr. Stephen Ross, is skeptical about the wine having any therapeutic benefits, especially with cancer patients. "Alcohol is carcinogenic and highly toxic. Mixing cannabis with alcohol is not a good idea from a perspective of wanting to introduce cannabis as medicine," he told CBS News. "The wisdom of prescribing alcohol to any patients is highly suspect," Ross adds. But setting aside any medicinal claims, Etheridge may be onto a promising business venture. As more states legalize marijuana for medical or recreational use, entrepreneurs are recognizing the potential to make big money off this increasingly mainstream and popular product. Liquid cannabis is a relatively untapped, recent addition to the marijuana market, and Etheridge's cannabis-infused wine business is still in its very early stages. "Right now, it's a passion project,"says Etheridge, who recently released a new album and is currently on tour. At present, she and her partners have about 90 cases of the wine tinctures available for sale only to people with a proper prescription in California. Etheridge says they hope to ramp up production in anticipation of a loosening of marijuana laws. She believes cannabis lovers in California may not have to wait too much longer for legislation legalizing marijuana for recreational use. And she may be right about that. Though California voters struck down a marijuana legalization initiative known as Prop 19 in 2010, and remain closely divided in recent polls, some activists are working to put the issue back on the ballot in 2016. Now that Colorado, Oregon, Washington state, Alaska and Washington D.C. have all legalized marijuana, legalization efforts may be gaining momentum. However, marijuana-infused food and drink products have been a particular source of concern in Colorado. A state panel is currently considering new restrictions or even a possible ban on edibles after a number of cases of children consuming them and landing in the hospital. According to CBS San Francisco, California Governor Jerry Brown, who opposes legalization, said he's looking closely at how Colorado is handling the issue in case his state moves in the same direction.